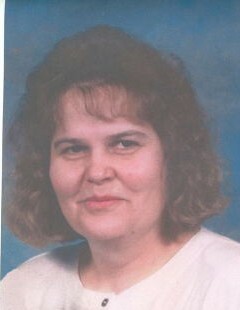 Vivian Ann Quick Gandy, age 64 of Bennettsville, South Carolina passed away surrounded by her family on Friday, February 8, 2019. Funeral services will be at 2:00 p.m. on Monday, February 11, 2019 at the Ghio Church of God of Prophecy officiated by Rev. Larry Bullard. Burial will follow the service in the Quick Family Cemetery. Vivian, a daughter of Theddish Helms Quick and the late Francis Lee Quick was born November 8, 1954 in Marlboro County, South Carolina. She was a devoted homemaker, a loving wife, mother and loved being a grandma. She worked with Wal-Mart as a cashier with over 10 years of service. She also enjoyed attending the Ghio Church of God of Prophecy. Vivian will forever be remembered for her love of family. Vivian leaves behind her husband of 45 years, Wayne Alexander Gandy of their home; three sons, Samuel Lee Gandy of Bennettsville, Robert Caleb Gandy of Nashville, TN, Darrell Duane Gandy of Bennettsville; her mother, Theddish H. Quick; brothers, Raeford “Buck” Quick (Sylvia), Ricky Quick (Patsy), Larry Quick (Judy) and sister, Frances Quick McGovern (Alex) all of Bennettsville; her grandchildren, Rephaiah Polson, Traci Gandy, Kayleigh Gandy and a host of nieces, nephews and loving family. Visitation will be from 6:00 until 8:00 p.m. Sunday, February 10, 2019 at the church. The family requests for memorial donations to be given to the Ghio Church of God of Prophecy, 668 Springhill Church Road, Hamlet, NC 28345.